Photo courtesy of Service Dogs, Inc. 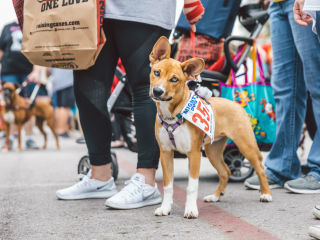 The 20th Annual Mighty Texas Dog Walk is a festival celebrating dogs, owners, and helping people with disabilities. The event, themed High School Reunion and benefiting Service Dogs, Inc., will include a Guinness World Record attempt for Largest Group Photo Shoot of Dogs with owners, a 1 Mile Walk, vendor booths with freebies and items to purchase, a raffle, and costume contest with awards for Best Themed Costume, Best Team Costume, Best Pet & Owner Look Alike Costume.